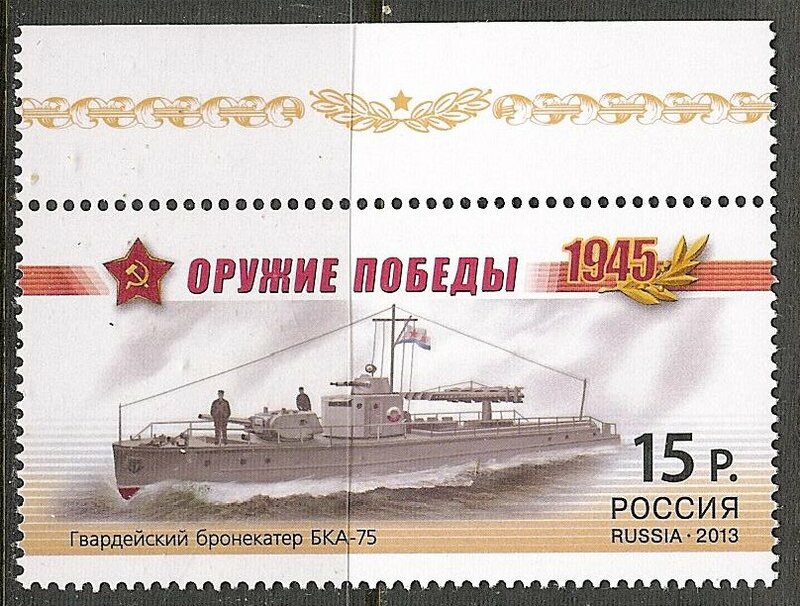 Four ship stamps were issued in 2013 by the Russian Postal Authority to commemorate weapons that helped contribute to the “Russian” victory in WWII. 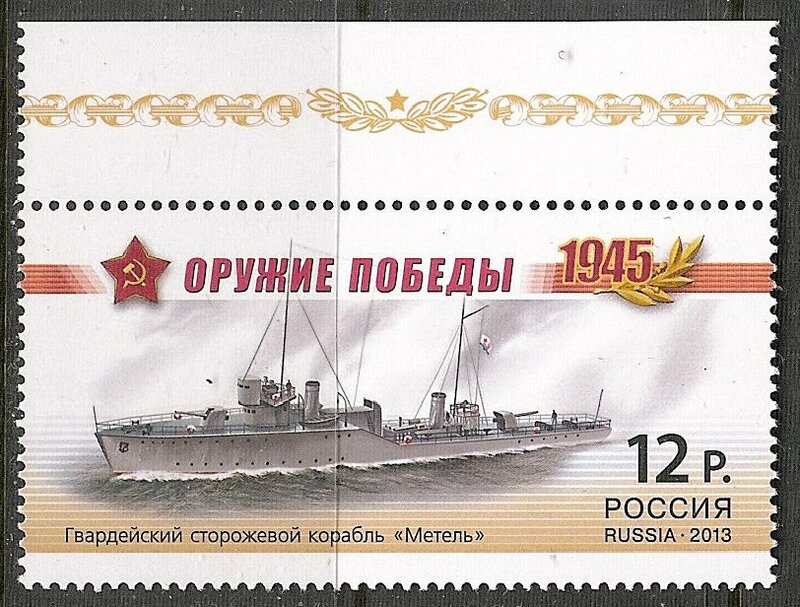 The first stamp in the set depicts the minesweeper, Mina. Displacement 410 tons standard, 503 ton full load. Dim. 62.0 x 7.2 x 2.26m (draught); Powered by two 42-BMRN-6 diesel engines producing 2,000 hp; twin shafts; speed 18.5 knots. 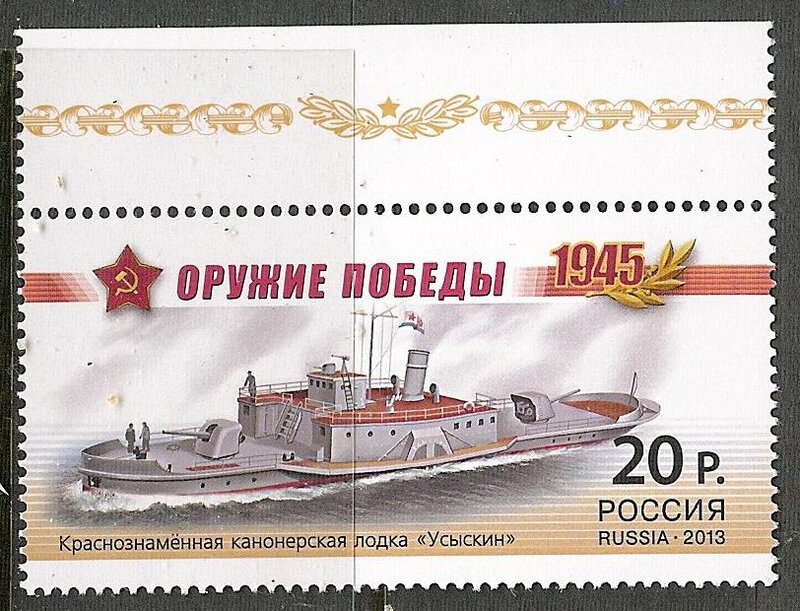 She was delivered to the Russian Navy on August 28, 1938, and served in the Black Sea. Through the four years of WWII, she sailed 47 000 miles through mine infested waters and was responsible for escorting numerous ships. Through her service, during the war, she had come under air attack no less than 300 times. 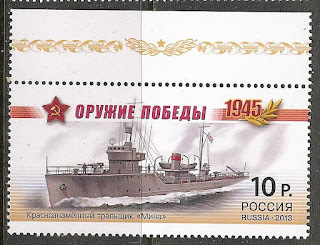 In July 1944 the Mina was awarded the Order of the Red Banner. Displacement 450 tons standard, 530 ton full load, dim. 71.5 x 7.4 x 2.6m. (draught); Powered by Curtiss geared steam turbines, 6,290 hp, speed 24 knots, economical 14 knots; Range by a speed of 14 knots, 1,200 mile. 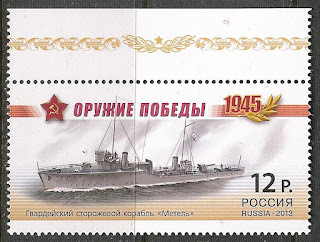 64 of the Metel‘s crew were awarded with orders and medals. 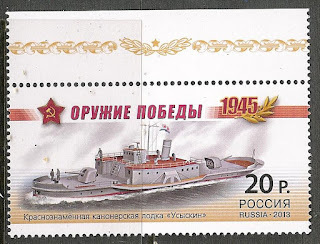 Her Captain was conferred with the title “Hero of the Soviet Union”. Displacement: 49.75 standard tons, 52.16 tons full load, dim. 25.3 x 4.04 x 0.87m (draught); Powered by engines of 1,800 hp, maximum speed 37.4 km/h, economical speed 23 km/h; Range up to 680 km. 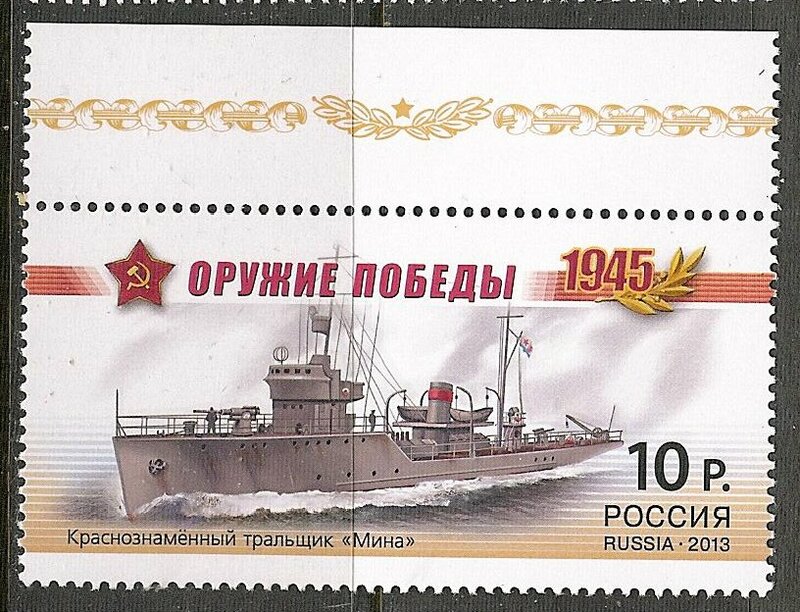 The Usyskin participated in the defence of Stalingrad as a unit in the Volga River Flotilla. 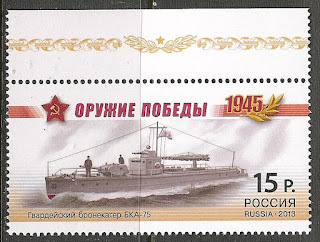 In February of 1943, she received the Order of the Red Banner. In April of 1943, the Usyskin was severely damaged as a result of a mine. In July 1943, she was converted back to a tug.